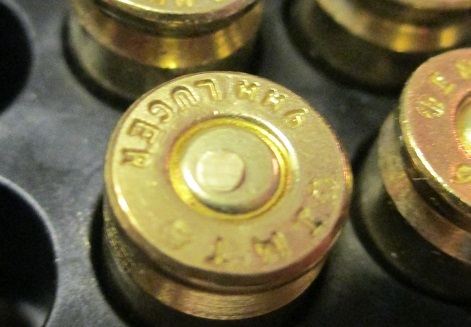 [Editor’s Note- 1/15/2016] We recently received a different batch of Freedom 9mm to test out. Testing is ongoing, but of note, it appears that the brass on current new production 9mm is standard-spec stuff now without any “step” inside the case. Additionally, we have not seen any signs of excess pressure with this newest batch and it appears to be quite consistent. A full review will be posted in the first part of 2016, but for now, in the spirit of fairness, I did want to post a short update to let readers know that the QC of the ammo Freedom sent us is head and shoulders above what we experienced in this article back in 2014. If the rest of the case continues the current trend, I have no further qualms about Freedom Munitions and I would not hesitate to shoot it at this point in time. He was also kind enough to send us pictures as proof of his experience for other readers. Of note in the pics, look for the distinct “shelf” that the IMT brass Freedom uses has come to be known for. 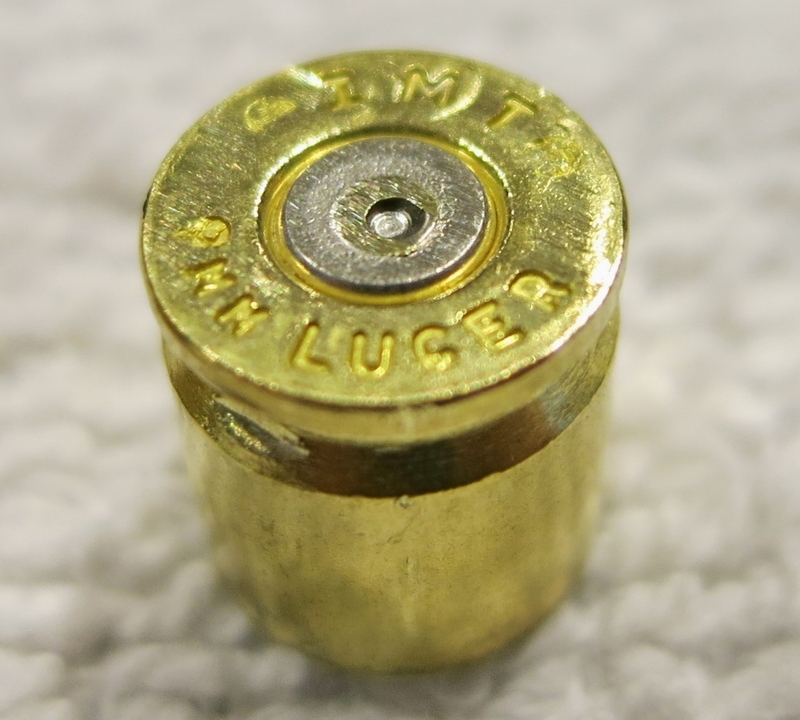 The primer also shows significant pressure signs, much like the 124 grain ammunition that HP fired in the original review back in May of last year. Although any ammunition manufacturer could have a bad day, this seems to be far from an isolated incident. So if you shoot Freedom Munitions (certainly if you shoot their 9mm), you should be on the lookout for pressure signs. In the end, the reader (who has requested that he remain anonymous) was given a refund for the ammo, but was told that he would be responsible for shipping his firearm back to Sig to have it inspected. Whether that’s reasonable or not isn’t something that we’ll make a judgement on today, but take it for what it is if you expect to be shooting much of this ammo. As you’ll see in the first paragraph of the original article (below), this isn’t meant to bash Freedom at all, and this person shares our view on that issue: “I don’t want to bash FM, but this has the strong potential to be a safety issue, and I think people should know what is going on.” So for those of you who might be considering this ammunition, please pay attention to the potential for a safety issue from over-pressured rounds. I want to prefa ce this by saying that this post isn’t generated by any sort of ill will against Freedom Munitions. I have nothing against them whatsoever, and I respect them as an American company that employs American workers. But I don’t do this for the money, I do this so that you all have a credible source of information about products and ammunition. And this is something that I think our readers deserve to know. 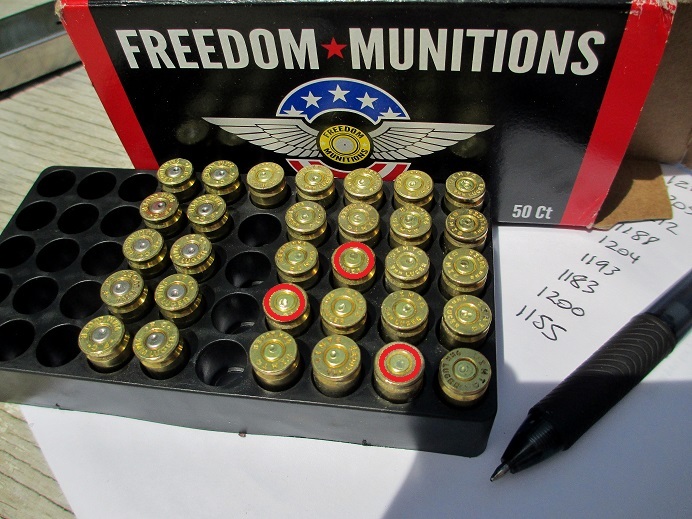 I recently purchased 250 rounds of new production Freedom Munitions 124-grain 9mm FMJ ammunition. Upon first inspection, it looked perfectly fine, and I had high hopes for it after seeing that a good many people on different forums had tried their ammo without any hitches. The headstamp on the brass was IMT (which I was not familiar with), but it looked to be high quality and the length of each case looked consistent. I took it out to the range last Friday with the intent of comparing it to Federal Champion 115-grain FMJ. I figured that most US-made range ammunition is at least on equal footing with the Champion, and I thought based on the price point and the plated bullets, etc., that it would be a pretty fair comparison. The extreme spread for both was virtually identical: the Freedom had a spread of 62, while the Champion had a spread of 61. So from a velocity perspective, the consistency is similar. The Freedom did fall short of their advertised velocity, but not by enough to be a detriment, especially considering this isn’t self-defense ammunition. Of course, the Freedom shouldn’t be running as fast as the lighter Federal load, but the big surprise to me was that shots 3, 7, and 10 on the Freedom Munitions side were all failures to fire. No problem, I can live with that. Maybe a handful of proud primers all ended up in my first ten rounds. No other failures to fire with any other ammunition (three other types, totalling nearly 300 rounds) that day through the same gun, which has a 23# mainspring and an XXP firing pin spring. Further, this gun has literally never had a light strike in several thousand rounds, so I ruled out the gun as the cause after verifying the firing pin channel was clear. 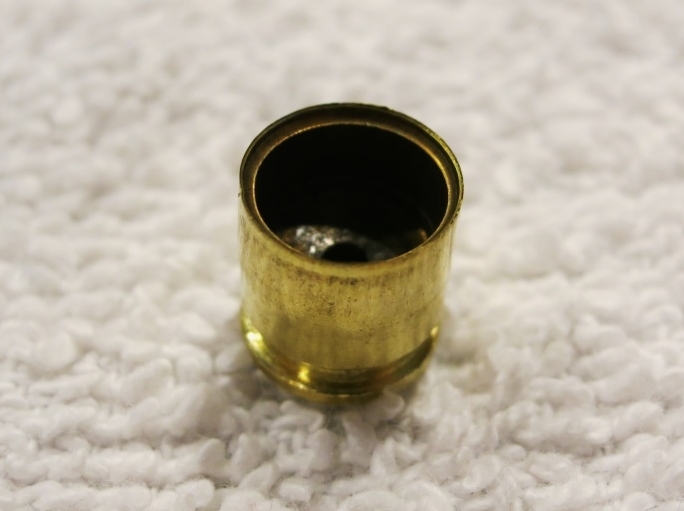 I would have continued with the testing, but after shooting 20 more rounds and noticing some real problems with the primers on the brass I was picking up, I suspended the evaluation. While all but one primer exhibited signs of excess pressure, the circled ones are some of the easiest to see. The two rows on the left with silver primers are Federal Champion, for reference. The primers seem to indicate a real pressure issue, even though the chronograph doesn’t indicate the ammo is that hot. Perhaps the powder being used has a very quick pressure spike, but without knowing more about it, all I can do is look at the end result. The problem occurred in both a Glock 17 and the Wilson Combat 1911 we were using, and the Wilson is fitted with a max-spec EGW firing pin that works perfectly with 38 Super loads that are pushing a similarly-weighted 124-grain projectile over 1350 fps without any overt pressure signs, so the firing pin/hole fit is not the issue in this case. American Eagle and Champion loads used the same day had typical strikes that lacked any sort of pressure signs (at right). A filled-in strike like this one can indicate a good reason to step back and think about pressure issues. The problem with primers showing these types of pressure signs is that the primer can liquefy and flow backwards. 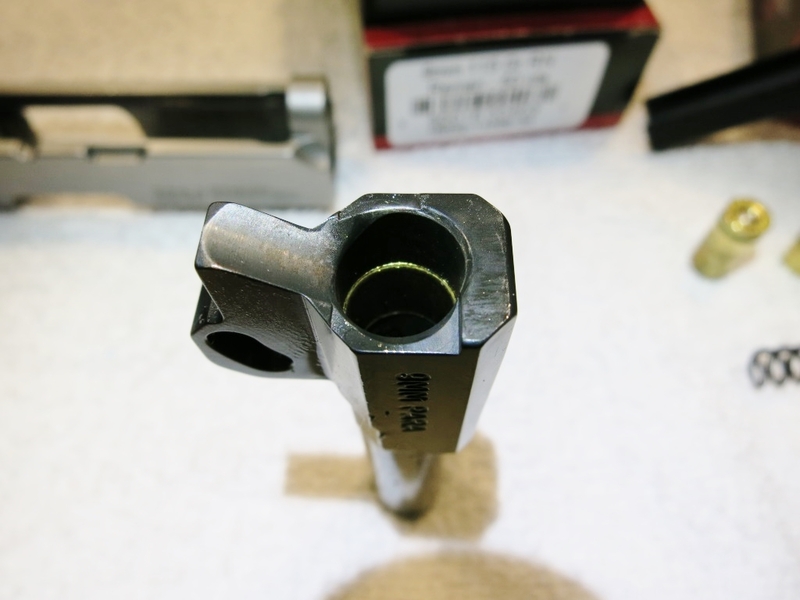 As it does that, shavings of primer metal can make it into different areas of a gun and lock it up (typically the firing pin channel, but the max-spec firing pin prevents that in my gun). I did, however, find a large piece that had worked itself into my barrel link area after taking the gun apart. My bigger concern would be that in a gun without a fully-supported chamber, this could lead to much larger issues if a primer is pierced or if the case ruptures. To Freedom Munitions’ credit, their QC team did email me back after I expressed my concerns to them, although I have not yet heard back from them since answering their initial email. They haven’t yet said whether they would take the ammo back, but regardless of what the end result is for me personally, I want you guys to know that you should at least be looking for these signs if you are shooting this ammo. All of my ammunition came from lot# 99DC9982. For lower-pressure rounds like .45, it probably won’t be an issue, but I’ve only shot the 9mm, so that’s purely conjecture based on typical .45 loads. UPDATE: 1 week after emailing Freedom Munitions, I have received a prepaid call tag and shipped the ammo back via UPS ground. I never asked them to provide that, and the customer service rep I dealt with was professional and timely. Although I can’t endorse the ammo, the company does seem to have things together from a CS perspective. Please feel more than free to post your own experiences. I really did have high hopes after seeing a number of good reports prior to ordering. With that said, I’ve also received emails from a fair number of people stating that their guns have locked up while shooting this ammo recently (everything from .380’s to .45’s). It almost makes me wonder if Freedom Munitions may have used a different powder on some recent runs due to availability, etc. that could have caused some of these issues. Whatever the case, I do hope to have a better experience with their ammo down the road. I’m certainly not against second chances. Thanks for reading and best of luck.